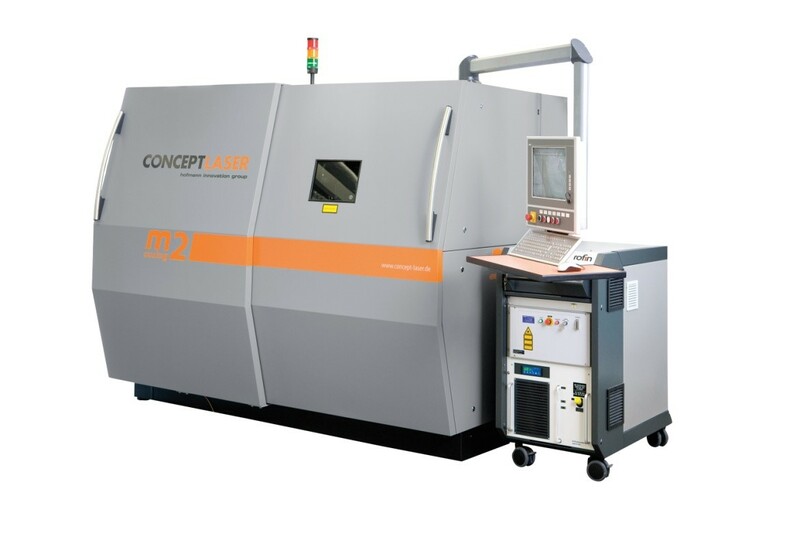 Concept Laser’s LaserCUSING® is a powder bed selective laser melting (SLM) process which produces high-precision metallic components from high-grade steel alloys, tool steels, aluminium alloys, titanium alloys, cobalt-chromium alloys and nickel-based superalloys. Recently, precious metals such as gold and silver were added to this list. The machine is available now for use. In LaserCUSING®, fine metallic powders are locally fused by a fibre laser. Our M2 fusing machine will be powered by a 400 W Diode pumped Yb-fibre laser. The build envelope is 250 x 250 x 280 mm (x,y,z). The component is built in layers (with layer thicknesses of 20-100 μm) by lowering the bottom of the installation space, applying more powder, and fusing again. The distinguishing feature of Concept Laser’s machines is stochastic navigation of the slice segments (also referred to as “islands”), which are processed in successive stages. This patented process significantly reduces stresses within the component. The quality assurance system from Concept Laser contains individual quality modules that enable the monitoring of the build process in real time. A key element is the QMmelt pool module for the real time monitoring of the melt pool with several thousand high resolution images per second to analyse the melt data in real time. The QMpowder is an automatic powder screening station that ensures constant powder quality.